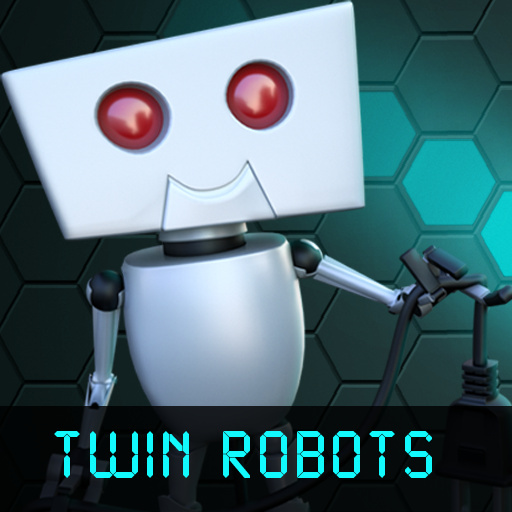 Twin Robots is a 2D platformer where you can switch control between two little robots – they've been imprisoned and need to find the way out of each level! 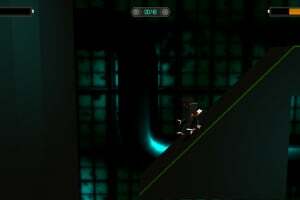 The game's 28 levels can be played alone, or in co-operative mode with a friend thanks to the split-screen gameplay*. 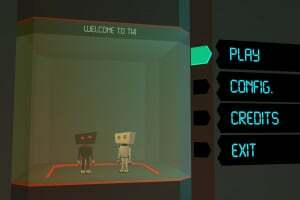 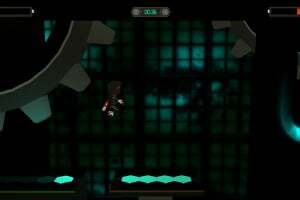 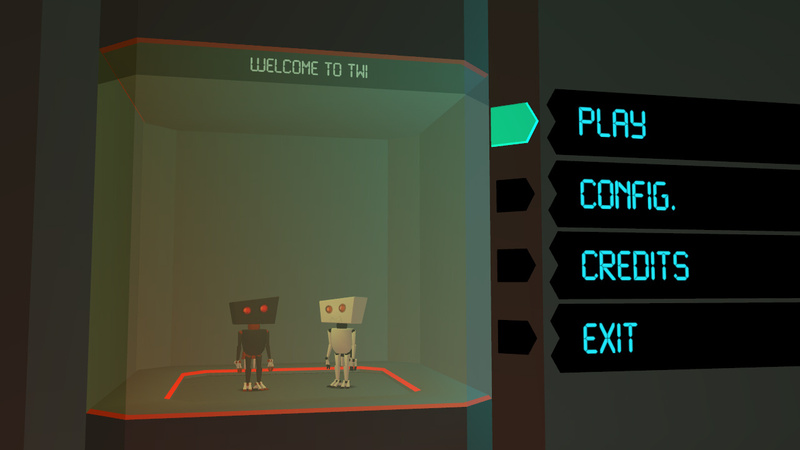 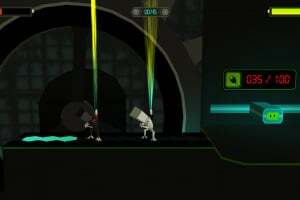 In local co-op multiplayer, each player controls one robot. 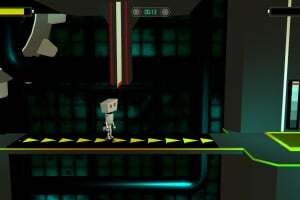 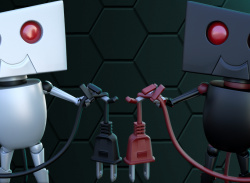 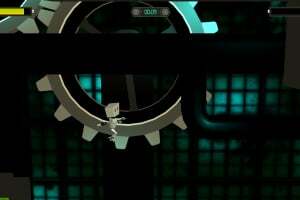 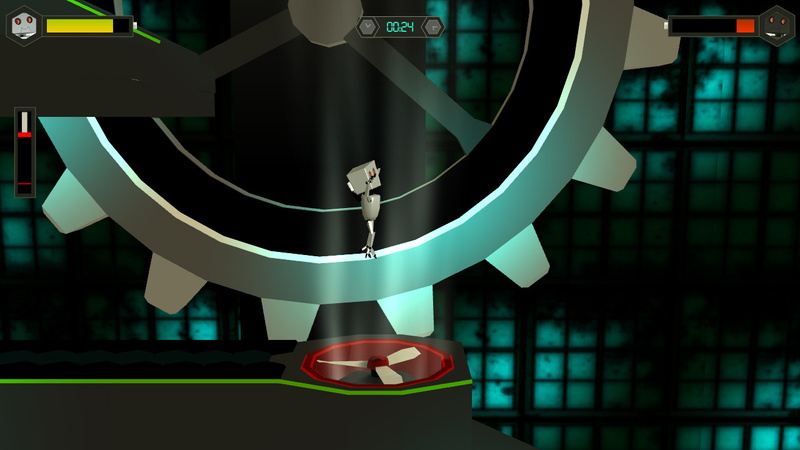 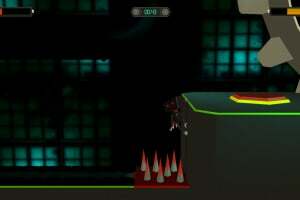 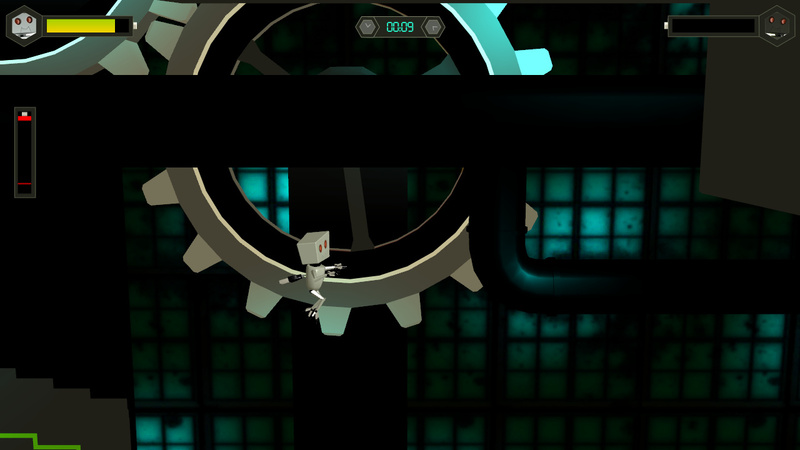 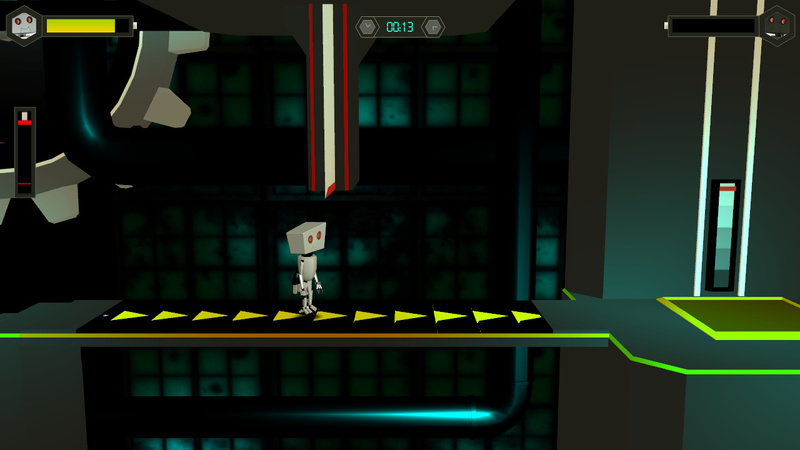 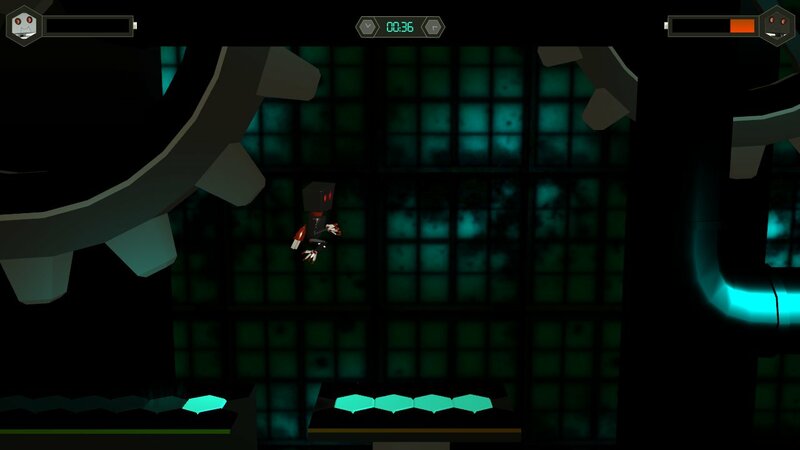 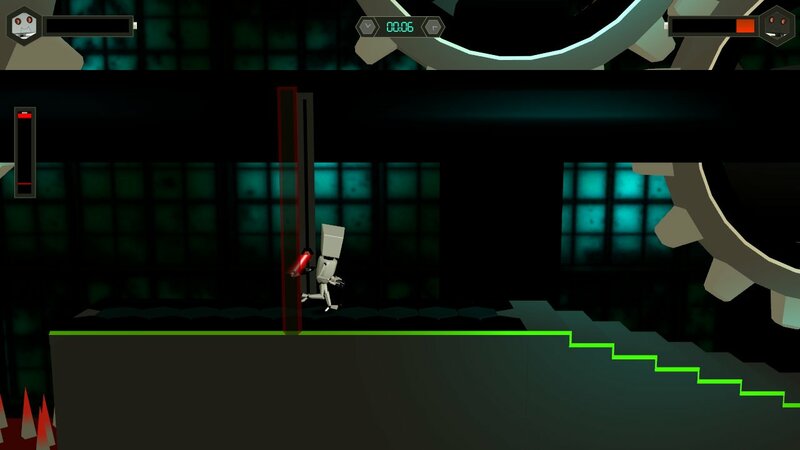 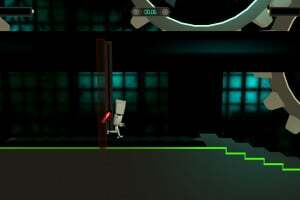 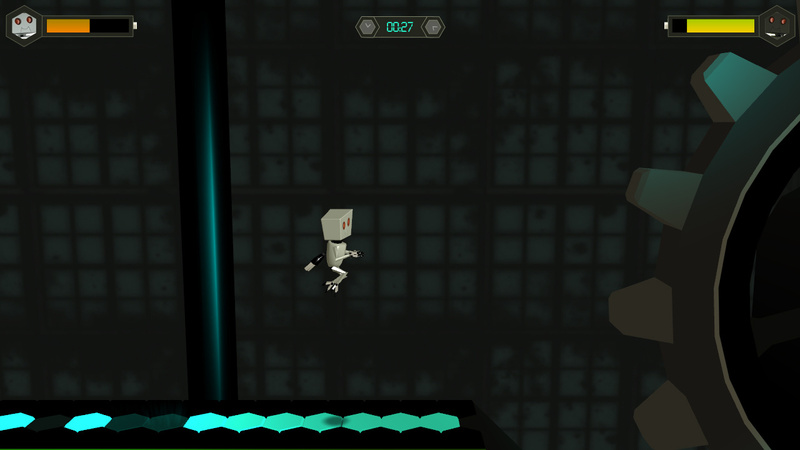 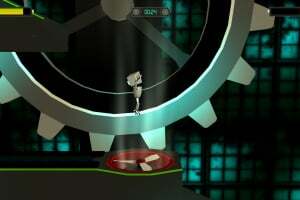 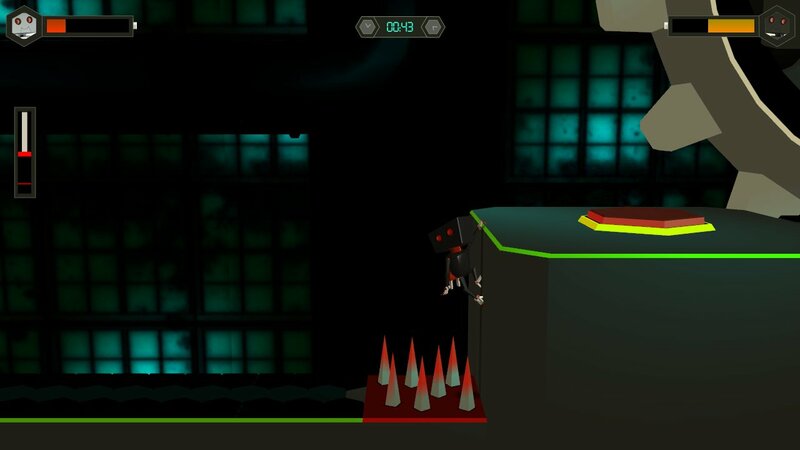 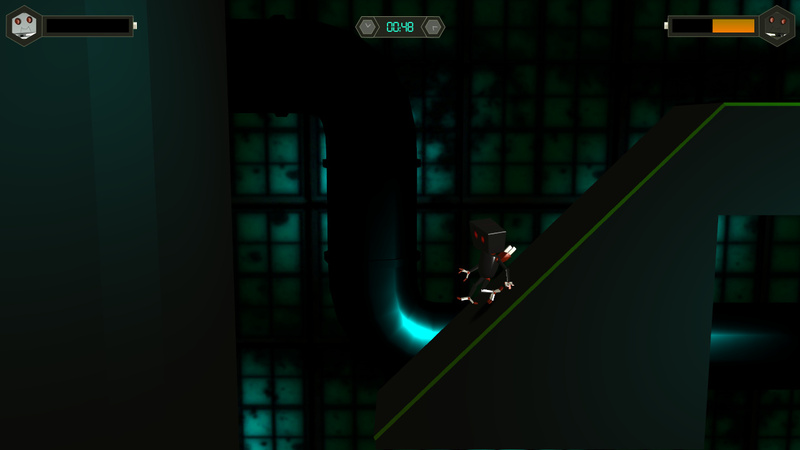 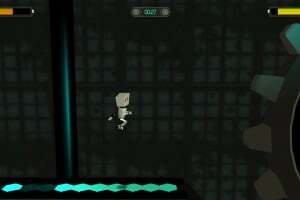 Some levels require both robots to help each other in order to solve easy puzzles. 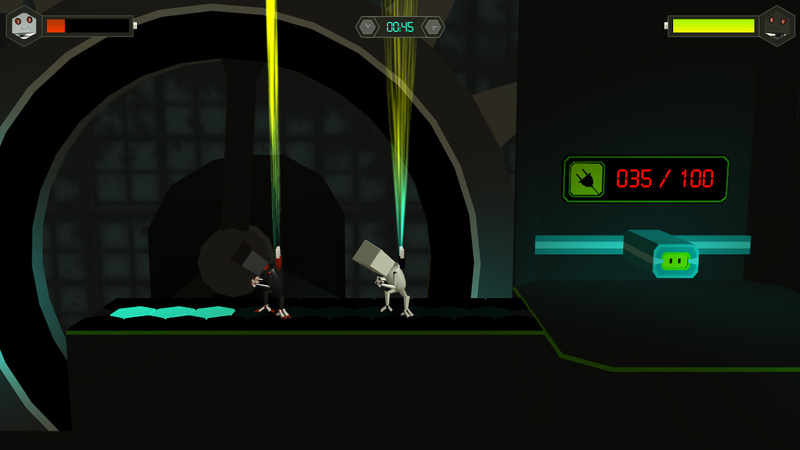 Manage your energy levels through the level so that you can safely reach the exit and charge the last door to open it.